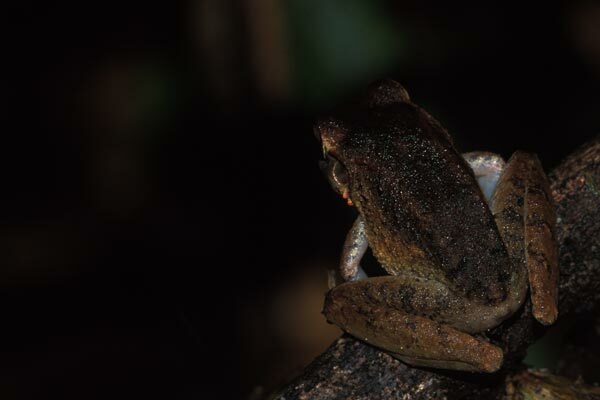 This medium-sized frog was very similar to the much more common Eleutherodactylus fitzingeri. It might indeed be E. fitzingeri after all; at the time a local expert was confident that it was E. taurus. We only saw one frog suspected of being E. taurus, and it hopped away just after I took this picture.